David Guerrero explains how to manage and monitor a network using Linux. 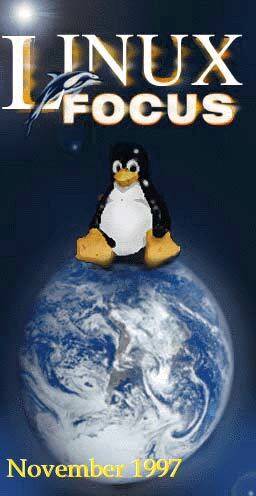 Add this icon in your webpage to show your support for LinuxFocus and for the idea of a free multilingual magazine for the Linux community. Graphics & Web Gurus: Sepulveda's (Juan, Esperanza, Miguel Angel), Victor Jalencas. Writers: Phil Ross, David Guerrero, Jose Quesada, Jose M Laveda, Manuel Trujillo, Luis Colorado, Manuel Soriano, Ismael Ripoll, Emiliano A Lesendre, Omar A Armas. Translations/Proofs: Hugo Lastras, Jorge G Villalonga, David Lynes, Emre Demiralp, Daniel Robbins and all of the above. This website is maintained by Miguel A Sepulveda.